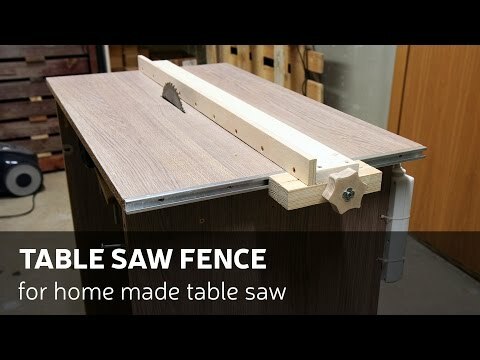 This time I will shop you, how to make a simple and accurate table saw fence for homemade table saw. Due to factors beyond the control of WellDoneTips, it cannot guarantee against unauthorized modifications of this information, or improper use of this information. WellDoneTips assumes no liability for property damage or injury incurred as a result of any of the information contained in this video. WellDoneTips recommends safe practices when working with the tools or equipment seen or implied in this video. Due to factors beyond the control of WellDoneTips, no information contained in this video shall create any express or implied warranty or guarantee of any particular result. Any injury, damage or loss that may result from improper use of these tools, equipment, or the information contained in this video is the sole responsibility of the user and not WellDoneTips. Man Builds Tiny House For A Homeless Woman Sleeping In The Dirt!